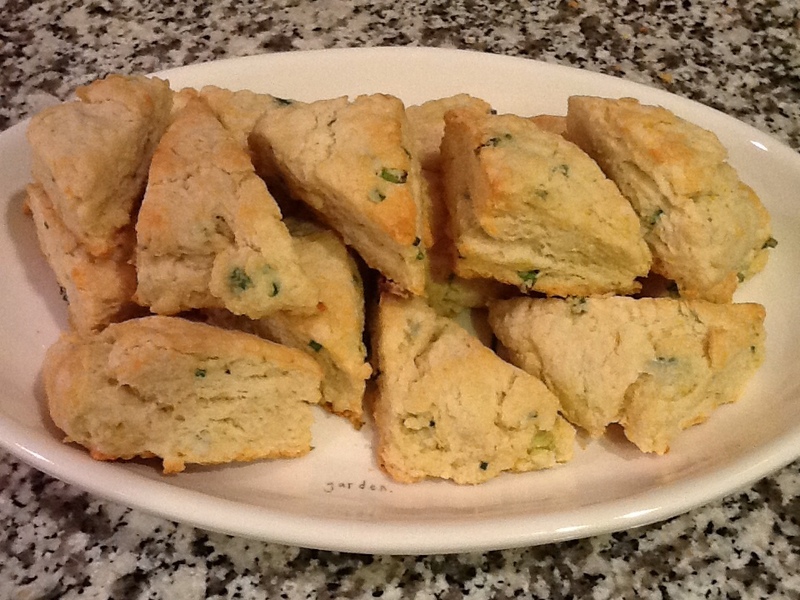 EZ Savory Scones | I Am Not A Restaurant! Oh no! I just remembered – book club tonight! …or PTA meeting…or a last minute office bribe. That's how fast I made these tasty tidbits. If you don't have scallions, try chives, or bacon! The ingredients are mostly pantry staples. I used cream instead of milk and cut them into two bite nibbles. That means you've got to watch the time – mine were done in 15 minutes. Click here for the recipe from King Arthur flour. For the record, the King Arthur test kitchen always has my back! Jan23January 23, 2014 • By Betsy Karetnick • This entry was posted in Comfort Food, Dessert, Dish of the Day, Recipes and tagged King Arthur Flour, scones. Bookmark the permalink.